Did you know 57% of working Americans ended 2011 with unused vacation time? In fact, the average number of vacation days either lost or cashed out was eleven. That’s more than two work weeks folks are leaving on the table. Of course, everyone needs to take a step back, especially when it comes to our careers. According to a Harris Interactive study, one fifth of the workers surveyed said vacations were out of financial reach in 2011. Another 10% said they were too concerned about job security to take any time off. This means, of course, we have a nation full of overworked employees who are running on empty. They’re not feeling appreciated, especially since many employers know their workers are too afraid to take time off or they know they can’t afford it. One psychologist calls it “vacation aversion” and that until and unless a “major cultural shift” happens, more are going to continue burning out. That’s no good for the employee, his family or his employer. Ready to divorce your workplace for a few days? 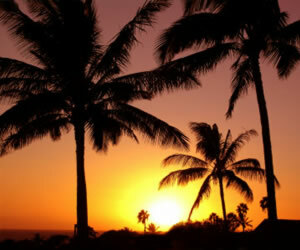 It might have been a tough decision to make, there are many ways to offset the expenses associated with your vacation. Your best first place to start is with your credit card. Keep these tips in mind and your vacation will be exactly what you need it to be: stress free, relaxing and a time to recharge. then it might be that you’re planning on paying the balance in full. That said, if you are, consider a charge card, such as American Express. There are several products, courtesy of AMEX, that allows consumers to charge and then pay their balances in full each month, thereby never having to pay interest. Many have other great incentives, too. Choose an American Express co branded card for maximum savings. It’s teamed with several airlines and hotel chains that can significantly reduce the costs associated with your vacation. If you’re more likely to carry a balance, your focus, of course, will be on a solid interest rate. There are many credit card offers with intro APR rates. These too can give you a head start on paying your balance before a higher interest rate kicks in. The One Bank and Discover both have solid offers worth consideration. Fair warning – some credit card offers have great rewards programs. From cash back offers to travel incentives to hotel discounts, there are some impressive offers – but pay attention to the fee structures. Actually, it’s important to keep in mind the small print for any credit card offer. There are some rewards programs, though, that seem to make up for the generosity via an extremely high annual fee or other fees. Do your homework! Remember, you’re only going to be as relaxed as your mind allows – don’t complicate your vacation with worries over your credit card balances. Also, if you’re planning travel outside the country, keep a close eye on transaction fees. They can add up quickly. Fortunately, there are many offers that have eliminated these particular fees. Again, a bit of homework can uncover the best deal for your specific needs. Speaking of specific needs, if you use the same airline carrier or hotel chain, these rewards cards (provided you’ve covered the bases with the other fees) can be huge money savers. There are plenty of co-branded card offers out there too. If you’re already carrying a credit card or two, it’s not a bad idea to see what you’re paying for it. We’re creatures of habit and sometimes take for granted that just because we’ve been a loyal customer for a credit card company, we’re already getting the best it has to offer. That’s not always true, though. In fact, you might be surprised at how much you’re paying when you don’t have to. Again, commit to a couple of hours of searching through available offers, compare them with what you already have in your wallet and then see where you are. Don’t want to abandon the old card? Check with the company or bank and see what it can do to keep you happy. It might offer lower APR or some other perk that is the right incentive to keep you a happy customer. Whether it’ the Caribbean or a week spent on the sofa getting re-familiarized with all those episodes of your favorite show, that’s been DVR’d for two seasons, it should be relaxing and stress free – especially if you’re one of the millions who haven’t had a vacation in while. The best way to ensure that is to get the pleasantries out of the way beforehand.